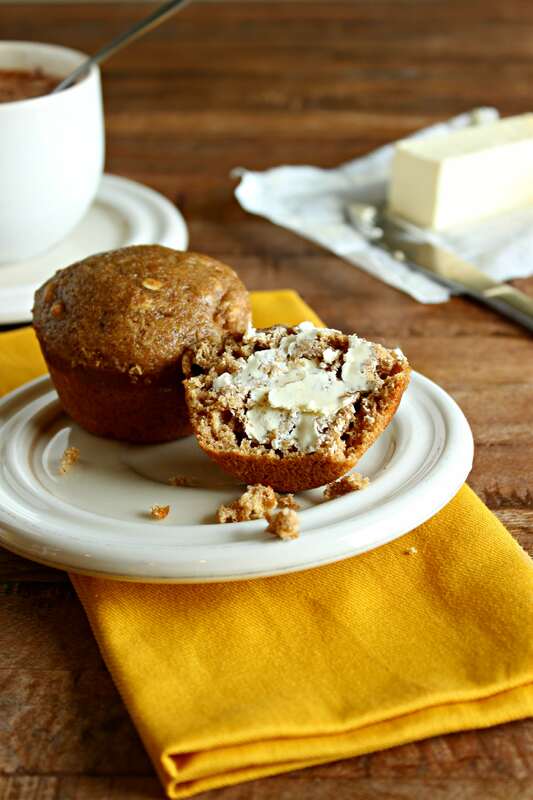 A healthy banana muffin recipe with no added butter or oil. 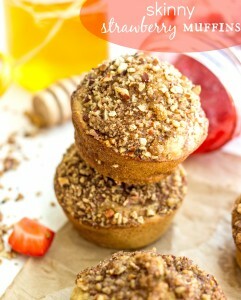 These muffins are delicious and use natural ingredients! Some mornings cereal just isn’t the breakfast you want. So on those select mornings when you aren’t feeling cereal (or even cookie dough cereal, gasp! ), and want something warm, comforting, and filling, these muffins are just what you need. Instead of being more like a cupcake (and too unhealthy to pass for the most important meal of the day) these muffins are filled with healthful ingredients. Treat your body good, it will thank you. And this recipe will feel appreciated for being used as well. That’s a win, win. These muffins are free of oil which applesauce replaced quite nicely. There is plenty of protein packed in thanks to the yogurt, egg, and nuts (should you chose to include them). And you’ve got fruit in the form of the mashed bananas AND the applesauce. Look at that applesauce fulfilling two purposes – replacing oil and giving you some more fruit in your day. Everyone clap for applesauce. The oats and whole wheat flour are great whole grains that do so many good things for your body. Like lowering cholesterol and giving you antioxidants. (<–Big word for something that basically helps to fight off diseases like cancer in your body). So now that you know a bit of the health content in these muffins are you totally on board to making them and enjoying them for breakfast? Great. Because I’ll let you in on a secret… Although these muffins tout quite the healthy rep, they do NOT taste like a typical healthy muffin. To me, typical healthy muffins, are dense and flavorless and blechh. Know what I’m talking about? 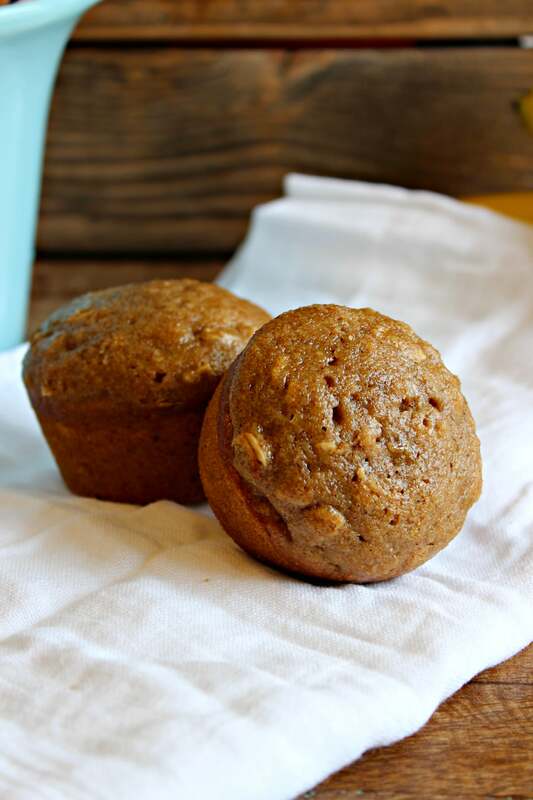 These muffins are bursting with flavor from the tang of the applesauce, the sweetness of the bananas, the touch of cinnamon, a hint of vanilla, and the oats that have been somewhat caramelized by the brown sugar. Preheat the oven to 400 degrees F. With cooking spray, spritz a cupcake pan that can hold 12 cupcakes. Or, in this case, muffins. In a large bowl, beat the egg and brown sugar. Add in the yogurt, almond milk, applesauce, honey, and vanilla. Beat until combined. Mash the bananas until there are no chunks left and stir in the mashed bananas with the yogurt and milk mixture. In another medium-sized bowl, combine the flours, baking soda, baking powder, salt, cinnamon, and oats. Mix in nuts if desired. Add the flour mixture to the wet ingredients and stir until just combined. Do not over-mix or the muffins become more dense. Bake at 400 degrees for about 5 minutes and then reduce the heat to 350 degrees and cook for another 13-15 minutes. Thanks for the awesome muffin recipe, made them this morning for my family! Lots of good ingredients – will be making again! It depends on how much sugar you use, but with 1/2 cup brown sugar and all other ingredients as listed they are about 131 calories each! I have made these muffins twice in 4 days. They were that good and I am not a baker! Plus, my kids and the neighborhood kids loved them! Thank you so much for posting this yummy recipe. It is definitely a keeper. What a hearty recipe. Mine’s in the oven now and my 2 yo is asleep.. We sure are in for a treat once he wakes up. The house smells inviting already! This are amazing!!! The most moist muffins I’ve ever eaten in my life! Thank you!!! Delish! I’ve been scouring the Internet looking for a muffin recipe with no button and no oil and here it is! Yay. 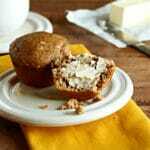 Banana oatmeal muffins……….here I come!!! These are absolutely the best muffins I’ve ever made! And I don’t even feel guilty eating them! Receipe using bananas applesauce rice or oat flour honey molasses guinea flour pecans walnuts eggs or egg whites. These are amazing! I made them once; they were perfect. I made them again and took them camping; everyone loved them! The third time, I had 1/2 can of pumpkin leftover from a failed muffin recipe (don’t ask), so I substituted the pumpkin for the banana and added nutmeg & cloves. Once again, exceptional. Thanks! Oh yay!! I’m so glad to hear it!! Thanks so much Whitney! And pumpkin in these does sound good!! I made these muffins today and they are absolutely delicious! I subbed it with 3/4th cups each of buckwheat flour, oat flour and 1 cup of white pastry flour. Rest was the same. Got 24 awesome muffins out of these and they didn’t last long. Very yummy and filling. Perfect for breakfast or snack for my kids with a glass of milk. I made the healthy banana oatmeal muffins today, with currants and pecans and they are delicious!! What a great recipe,with healthy additions to eat anytime. THANKS! Ooo currants and pecans in these sound amazing!!! I only have quick cooking oats (and steel cut but I know those won’t work). Can I substitute rolled/old fashioned for the quick in this recipe!? Thanks. Just made these for my 2 year old and myself and they are delicious and filling! Lately when I do a search for a recipe I type it in google images and browse the photos. 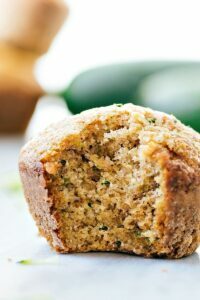 So today I typed in oatmeal flour banana muffins and when I find the one that looks like what I want, I go check it out! I lucked out and picked yours first, it had all the stuff I wanted and didnt have the stuff I dont want! Anyway, thanks for sharing! By the way I used 1 1/4 ground up steel cut oats and 1 1/4 cup AP and it was all good! Yeah!! That is so great to hear 🙂 It’s the best when you don’t have to make a grocery store run! 🙂 Thanks Gretchen!! I just made these and they are great!! Hi Chelsea! I love your recipes specially the healthier versions. Would love it if you could indicate the calorie count per serving ? More power to you! Keep ’em coming! These were amazing! Made them this morning, and even minus the vanilla extract, they came out perfect. My toddler is scarfing them down for breakfast. I also didn’t bother completely mashing up the banana and old fashioned oats, so they came out a bit chunkier, but still delicious. I am going to try to make these for my 13 month old baby girl, but she is allergic to eggs. Do you know if they will still work out if I just omit the eggs? Or is there anything I should add in place of the egg? They won’t work without the eggs, but you could try replacing it with a “flax egg”. I’m not really sure how that will perform without trying it first though. Wish I could be of more help! Can you substitute the brown sugar for coconut sugar which is healthier? And substitute the wheat flour for almond flour? I made these muffins tonight and they are delicious! Instead of the brown sugar I used coconut sugar, used almond milk instead of regular milk and used almond flour with the white flour. These are so moist and light and will definitely make these again. I just made these muffins and they are the best muffins I have ever had and so few calories. I am going to add raisins next time. I would have like to have had the nutrition facts though. Great muffins! Followed the recipe and they turned out delicious. Very moist, not too dense, and subtle flavor. I might add a little more cinnamon next time. Nutritious too! Thanks for recipe! I’m so glad you enjoyed these! You should definitely try it with more cinnamon if you’d like more flavor! 🙂 Thanks Carol!